40 Multi Coloured Acrylic 25mm Pom Poms. 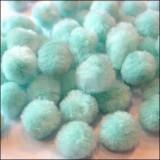 72 Spring Multi Coloured Iridescent 12mm Pom Poms. 200 Xmas Multi Tinsel 7mm Pom Poms. 80 12mm Xmas Multi Coloured Tinsel Pom Poms. 20 White/Gold Tinsel 12mm Pom Poms. 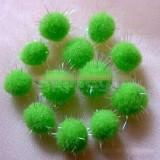 Pack of ten 10mm bright green glitter pom poms. 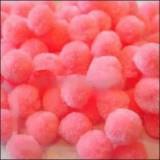 Pack of ten 13mm pom poms.